OK been looking at online reviews of other cars, particularly BMW. And I need to apologise to my Velar, its software maybe temperamental but it’s logical. I was watching the review of the new X5. It has Apple CarPlay but you can’t get Android Auto, no problem I’m an Apple diehard, BUT if you want to use your phone to lock and unlock your new X5 you have to have an Android phone Logical. Anyway Velar is booked back into the dealers on the 19th February to have the latest software installed, which will hopefully cure all my issues I have at present. I’m quietly confident as most owners seem pretty pleased with the results, also it’s getting Apple CarPlay and Android Auto activated, yes BMW, LR can do both though I have been told I have to pay £200 for the pleasure. Hmmm, everyone else has had it for free so a bit of negotiation required. I’ve just updated to 18D, which was done for free (in response to certain warranty issues) and it is the biggest change yet. What version would you be moving to? Overfinch have brought out a few bits and pieces for the Velar. 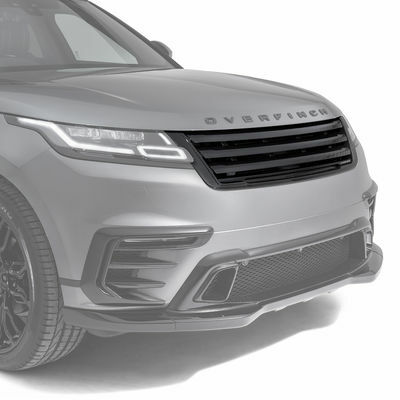 They are truly horrid but I thought I’d price them up as it’s caught the imagination of some over on the Velar forum. 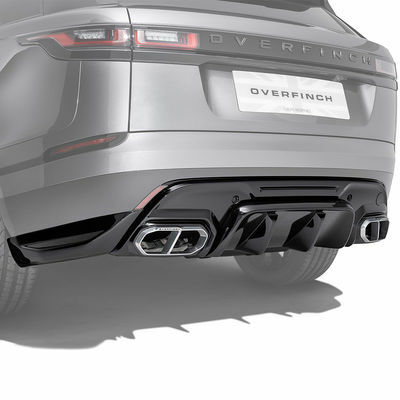 Confirms my opinion of Overfinch. King of the typo. Almost got run over by a Velar about 30 mins ago!! OK, bit of an exaduration but they seem to fit in nicely with the Vietnamese driving styles, esp in grey. Had my software updated after our last PM to the latest and so far all issues sorted and its been great, don’t pay for the Apple Play it loads it automatically when they do the software upgrade and the dealer cant choose what elements the upgrade loads according to the tech that done mine. My 2014 X5 played nicely with an iPhone, including remote lock/unlock and all the other connected services. Look for the BMW Connected app on the app store. Technically, it didn't have Appleplay but you could use a long press of the voice control button to invoke Siri and sort out messages etc as well as stream music.